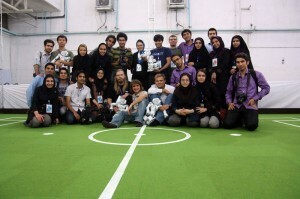 The AutCup2010 at Amirkabir the University OF Technology is on full course. We are already the third day in Iran and in the middle of the competitions – or better: The competition. 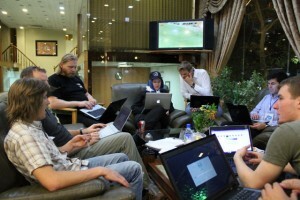 But unfortunately it turned out that we are the only Nao team in the AutCup2010. 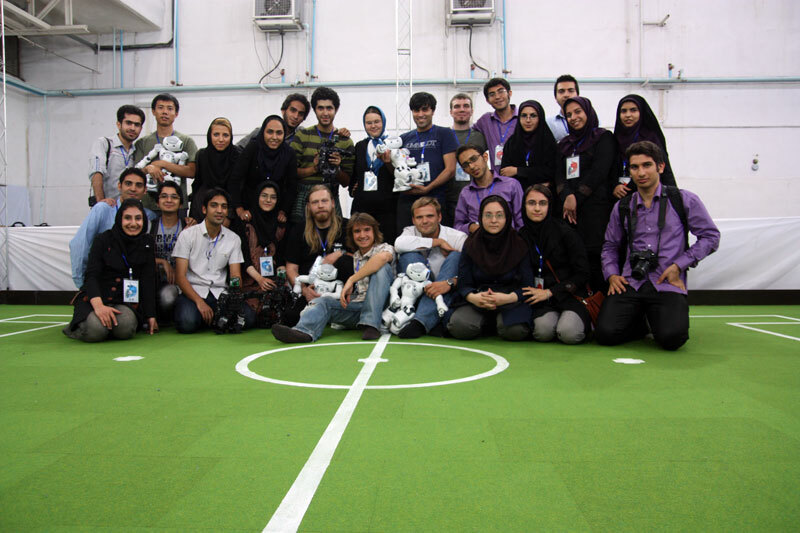 Because we survived without mentionable problems the 3D-Simulation „the Seeding Round “ and brought the first round without a defeat behind us, we were looking forward to some test and showgames between our Naos and other humanoid robots. After we had fought with small problems in the first game yesterday night it worked better this morning. This had a particular effect on our numerous goal chances which unfortunately were defeated among other things by an empty accumulator. Fingers crossed that our game this evening will be a strike for our Nao. Tables and results of the 3D-Simulation can be reared here: Ergebnisse. In order to prepare further successes, every evening discussions are a must. In the lower photo you can see us during preparations for the next day.